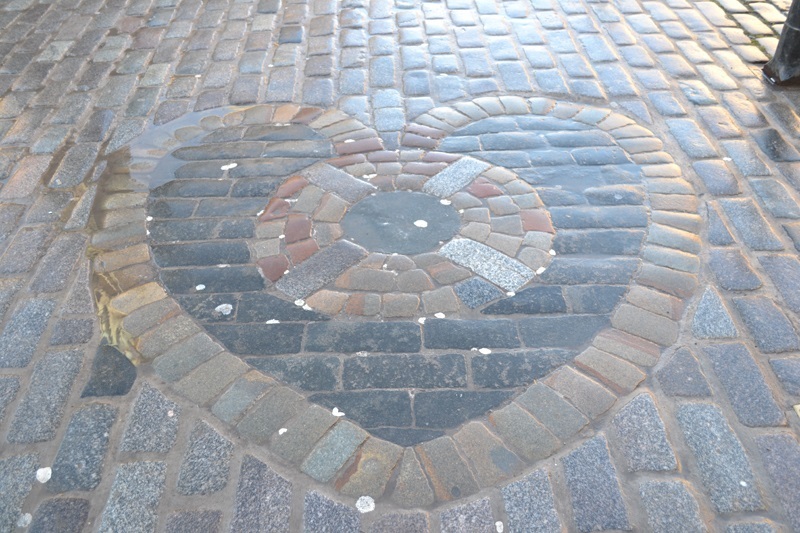 I know I'm a month too late but nevertheless I want to share pictures from our lovely Valentine's Day celebration in Edinburgh. We spent the morning shopping at Princes Street where several UK high street brands such as BHS, Primark, H&M, Debenhams, House of Fraser, Marks & Spencer, Topman and Topshop are located. Dubbed as the Harrods of the North, Jenners Department Store, which is also located on this street is an Edinburgh institution. After a day of retail therapy, we headed back to The Royal Mile for our Valentine's Day dinner at The Witchery. 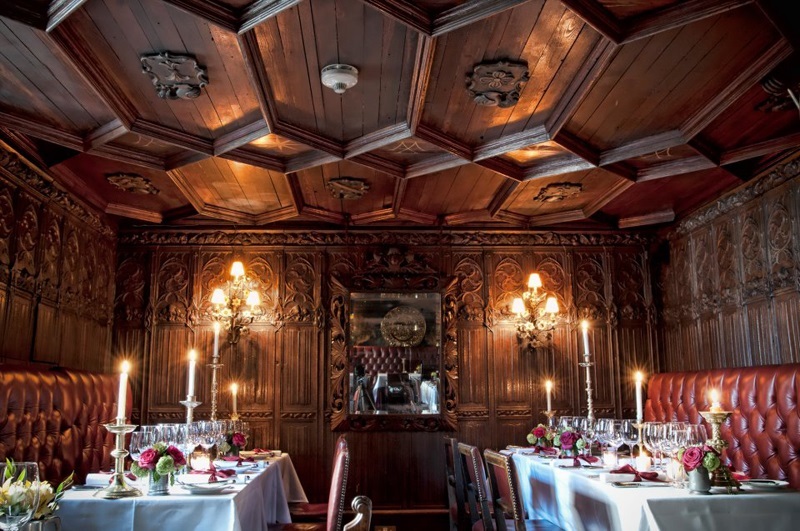 With its rich baroque surroundings, red leather seats, ancient oak paneling and beautiful tapestries, our experience at this restaurant was truly exceptional. Not only were we enamored by the beauty of this place, their service was remarkable and the food was divine! We started our candlelit dinner with shellfish bisque, rouille, croutons with gruyere. 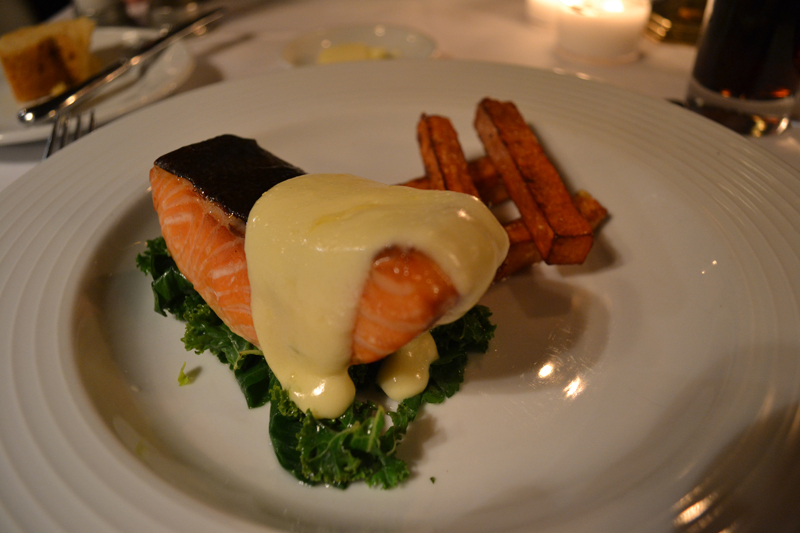 We had hot-smoked Loch Duart salmon, warm sea vegetables, sweet potato chips and oyster hollandaise for the main course. 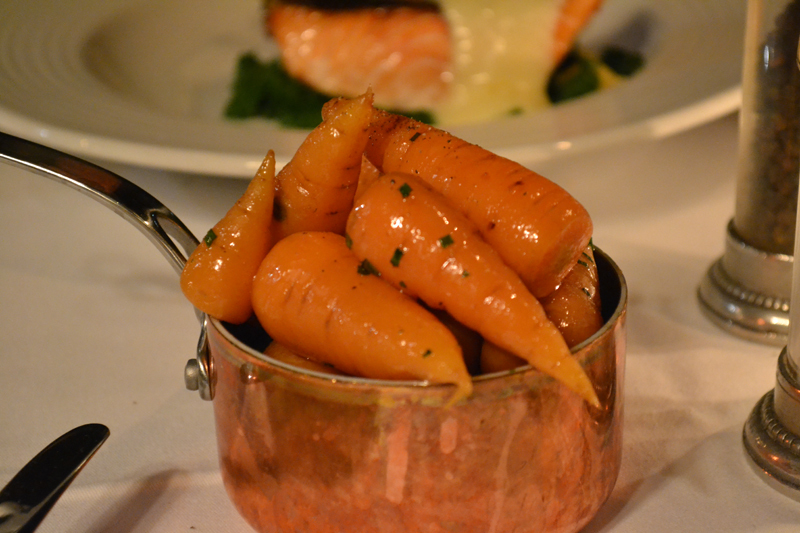 We also had a side order of buttered baby carrots and some chocolates for dessert. 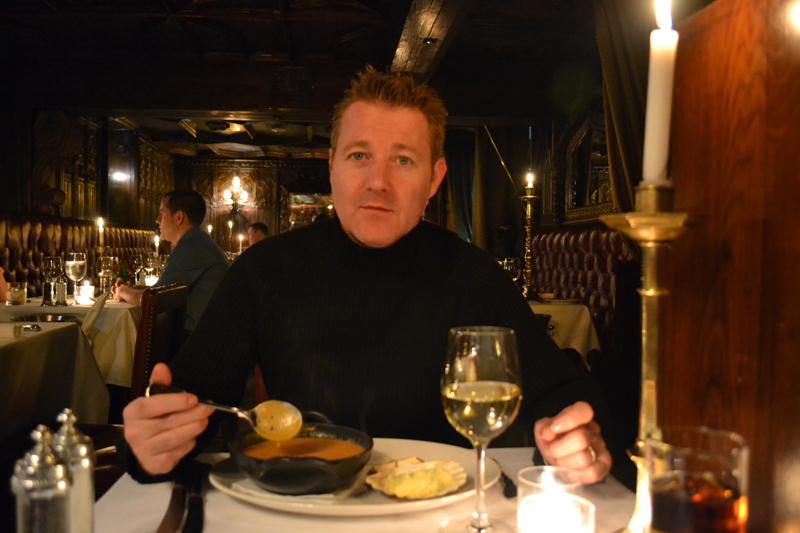 If you're looking for a wonderful place to eat in Edinburgh, try visiting The Witchery. It's easy to locate as it's situated near the castle. On to my outfit, I went for basic black and paired my turtleneck sweater with this gorgeous Zara lace skirt, which was a present from my Mother-in-Law. I've always liked wearing lace as it effortlessly makes you look chic and polished. 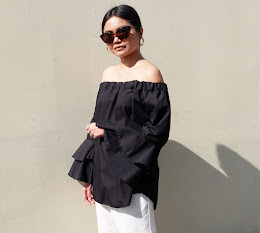 Amazing outfit! I like the heels. Wow, wow. The place looks AMAZING, so does the food <3 <3 It seems like a perfect, romantic Valentine's Day.